Modern cars are incredibly sophisticated machines. This makes them a lot safer and more convenient for our daily commute. There are miles of wires that stretch inside your car's body. These connect the lights, AC, sensors, and a dozen other components. However, these are also extremely prone to glitches. One tiny short circuit can cause the entire system to break down, and you will be left looking for an electrical repair garage in Easington, Saltburn-by-the-Sea or Cleveland. However, now that we are here, you won't have to look any further. We are Easington Service Station, one of the largest car service garages in the area. You can visit us for any vehicle-related issue; we have a team of expert technicians who will sort it out in no time. Our services include engine optimisation, diagnostics, repair and replacement, buying older and MOT failed cars, offering vehicle disposal, and of course, electrical repairing. Your car’s engine system depends on components like the battery, alternator, starter, etc., and is driven by pre-tuned ECU signals. A short circuit can throw off the balance of the entire unit. Unknown to us, our daily commute puts a lot of strain on different parts of our vehicles. These can often loosen up a joint, or cause a cable to scrape off against the metal body. Even such a small issue requires a check and repair at our electrical repair garage in Easington, or it can snowball into something much worse. To that end, if you see any warning light in your gauge cluster, bring it to us immediately. We will run a thorough inspection of the entire system and determine whether it was a false warning or a malfunction. If needed, we will repair or replace the concerned component. These will be inspected first to make sure they are working correctly. We will also check if the fuse box still has all the necessary fuses or not; if you have used up any, we will replace it with a spare. On top of that, we will check the battery mount and appliances like the music system, interior lights etc. to make sure they are working fine. 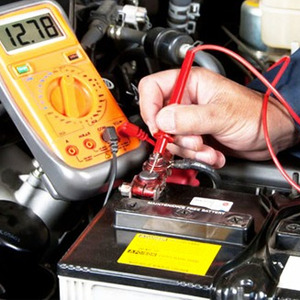 If you suspect that your car has an electrical issue, bring it to us immediately. We are open from Monday to Friday, 8:30 AM till 5 PM. On Saturdays, we are available till 12 PM.